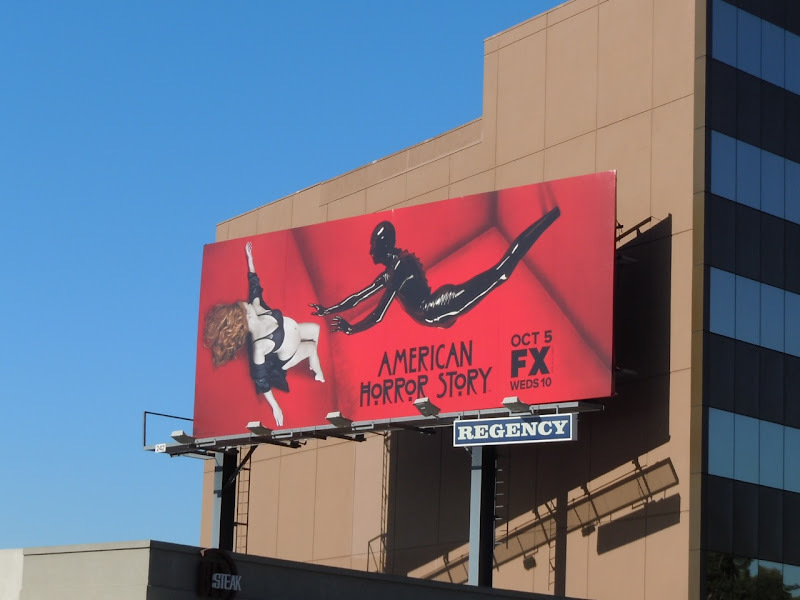 This billboard for American Horror Story surely qualifies as the most surreal and bizzare TV billboard of the Fall season. It's not every day you see a pregnant lady being terrorized by a latex-wearing fiend, well not along L.A.'s Sunset Plaza anyway. But apparently that's what happens when a family from Boston moves into a creepy L.A. mansion in what's being described as a psycho-sexual, horror-thriller series. 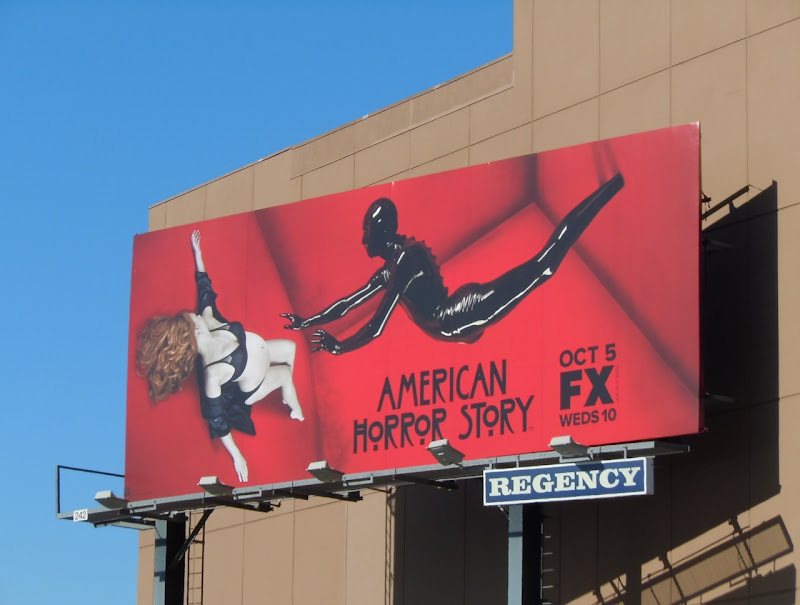 This dramatic and provocative billboard snapped along L.A.'s Sunset Boulevard on August 23, 2011, certainly gets the job done and attracts attention for the new show. Don't you just love new TV season, loads of fantastic billboards everywhere you look. Yeah, typical innocent "white" female being physically/sexually abused by some menacing "black" creature with a HUGE etc. etc. It's crap, offensive, and really cliche (i.e. nothing new). That's an interesting point of view certainly. 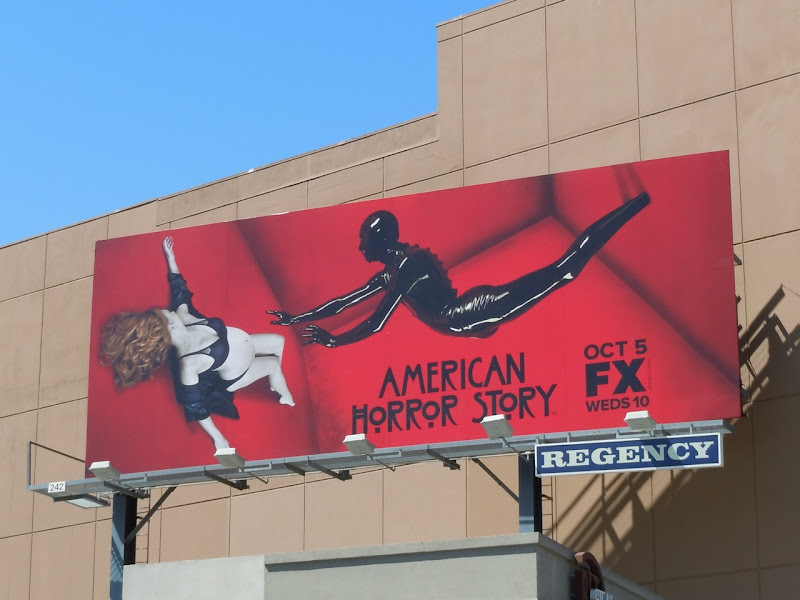 I for one focused more on the supernatural elements of the billboard and now having watched the show find it the strangest, but most intriguing show of this Fall season.